It drives me crazy when people call Animal Kingdom a half day park. Yeah, I know, it’s a common observation, but still I know those people are missing out on a lot that the park has to offer. 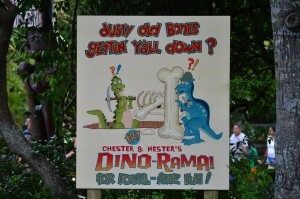 Yes, Animal Kingdom has fewer “rides” than the other parks. But there is so much more to a park then plopping down in an omnimover or coaster. The meaning of the word attraction is a lot broader than that. So when people say that Animal Kingdom is a half day park, they are not enjoying the shows, the trails, or the entertainment offerings that this place does so well. Those people skip Flights of Wonder, don’t bother with Rafiki’s Planet Watch, and have no idea what a Burudika is. To be fair, Animal Kingdom is a different kind of park. It’s not really conducive to hustling from one attraction to the next as fast as your feet can take you. It’s a park that needs to be lingered over and meandered through. Rivers of Light will surely be a game changer, much like World of Color was at Disney California Adventure at Disneyland Resort. When that comes, guests will stick around to see the nighttime closing event, but that does not mean Animal Kingdom is a half day park now. It’s not. And here are 6 reasons why. Wilderness Explorers is so stinkin’ great! Imagine that you are Russell from Up (I often do, but that’s a separate issue) and you need to earn badges. Now imagine, just for a moment, that you need to earn over 30 badges. Yes, 30! That’s this game. I have spent a lot of time discussing the little things that set this park apart from the rest. What do you do when some of your party are Disney touring commandos? Play this game. It has you delve into the little places of the park. For example, it is the best way to discovery Rafiki’s Planet Watch, which is often skipped. I think Planet Watch, alone, is a strong reason that Animal Kingdom is not a half day park. Alas, this is a list of six, so I am jamming that into this entry. This is true throughout the park. 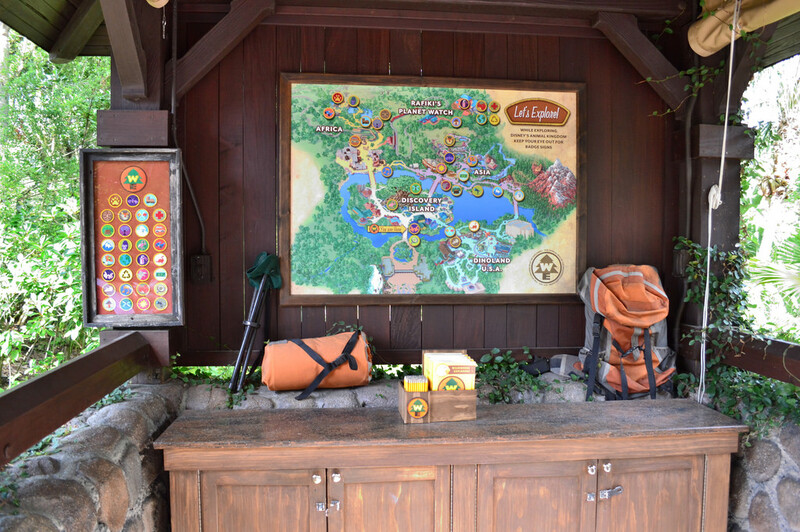 One badge takes you into a little side path along the Discovery River, and another takes you to little traveled section of DinoLand U.S.A. And the Explorers game is also a fun way to work your way through the town of Harambe in Africa and Maharajah Jungle Trek. I have said it before and will say it again: Animal Kingdom in the evening is a different kind of place, mysterious and dark. It’s simply beautiful. DinoLand U.S.A., Harambe, Serka Zong, and Anandapur all take on a very different feel. Remember before when I mentioned Burudika? The group typically plays a set during the last half hour the park is open. There simply is no better way to spend that time then by grabbing a cocktail at the Dawa Bar (my personal choice would be the sugar cane mojito) and watching this band play. I think it is the best live performance “street” group in any of the parks. And speaking of bars, the Dawa is a great place to hang out for awhile at any time of the day. And so is the bar at the Yak & Yeti Restaurant. That particular establishment is chuck full of Asian artifacts taken from, well, Asia, and it is awesomely themed. It is small (I’ll call it quaint) but generally is very quiet towards the end of the day. 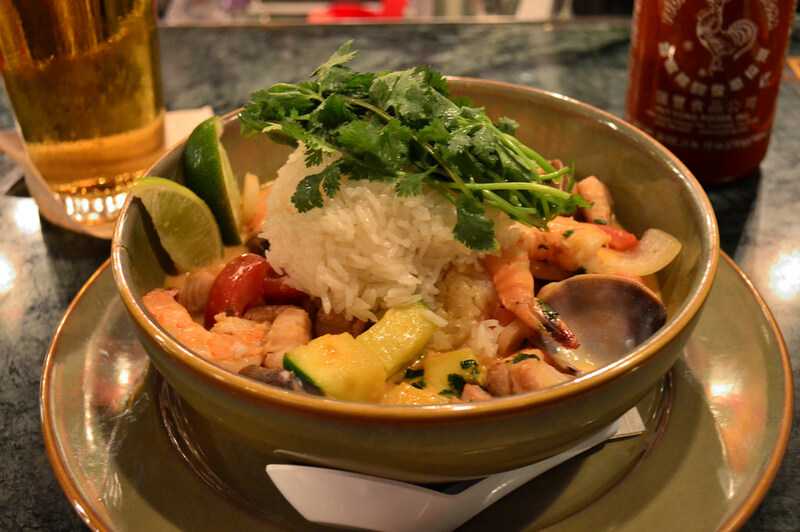 I know, when it comes to food, Epcot is the place to be. I get it, but I think Animal Kingdom comes in second in that race – especially for counter service. I like to eat a lot of meals here. 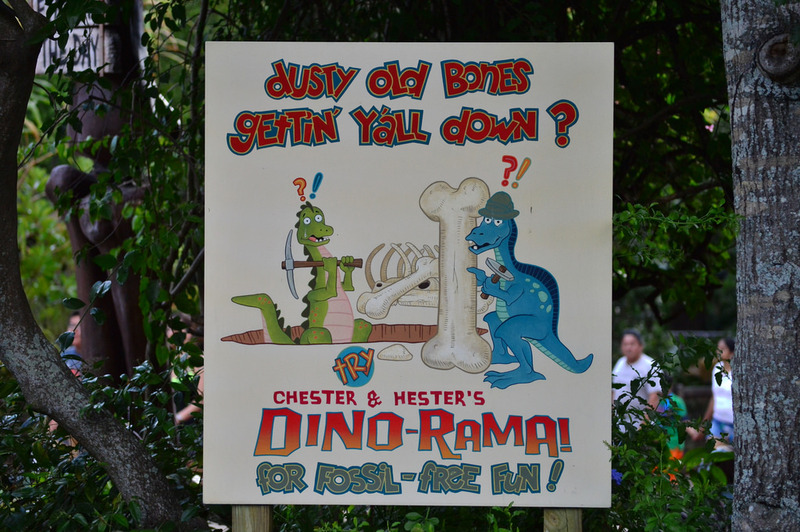 Tamu Tamu, Restaurantosaurus, and Flame Tree Barbecue are all better than any quick service spot at Magic Kingdom or Hollywood Studios. The two full service spots are also unique and quite good. 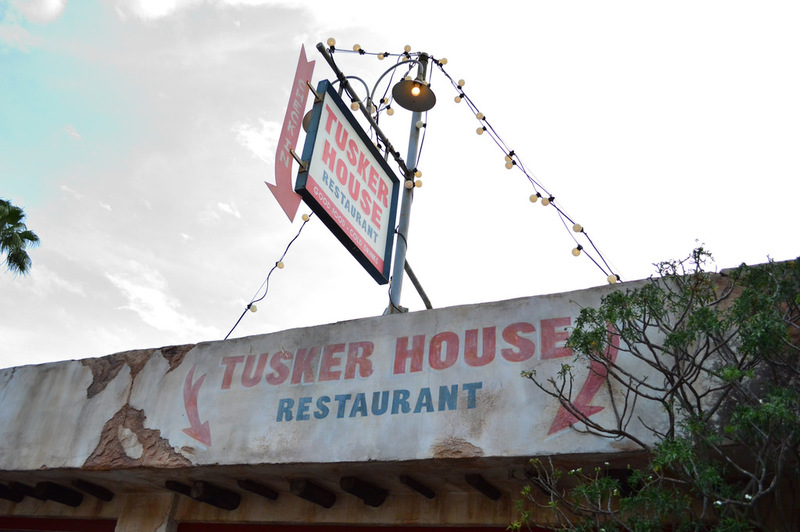 Those, of course, are Tusker House and Yak & Yeti. I sure as heck don’t count Rainforest Cafe! The food at this park is a little bit different from your run-of-the-mill hot dogs and funnel cakes. You will want to eat lunch and dinner here, and, hey, that’s a whole day right there. Why is Kilimanjaro Safaris such a great ride? Well, you can ride three times in a day, and it will be different each time. The best times to ride are first thing in the morning and right before the ride shuts down. So rope drop it, then make sure you have FastPass+ for the last hour the ride is operational. It will likely be very different. 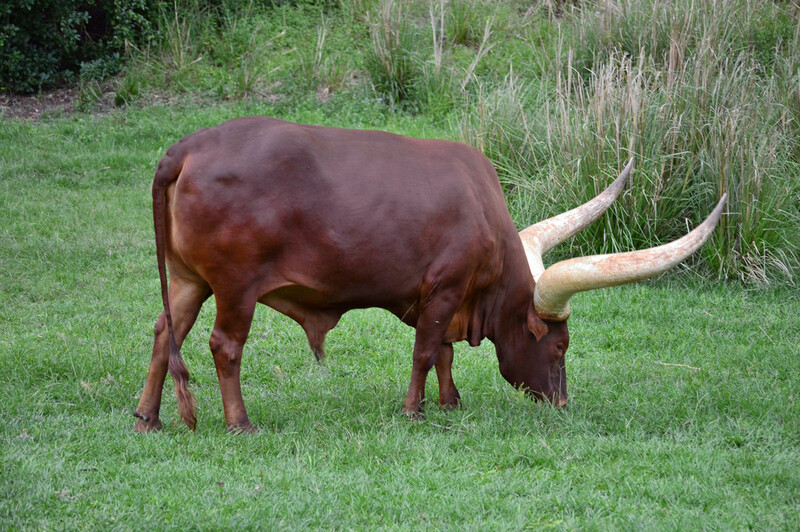 The animals tend to be more active when they first go on exhibit. But they can also be quite active towards the end of the day as supper time draws near. Plus, the safari landscape as the sun goes down is great! This animal viewing plan also applies to the animal trails. Check out Pangani Forest Exploration Trail right before it closes, and you will see the bachelor group of gorilla males all excited. But it’s not just the animals. 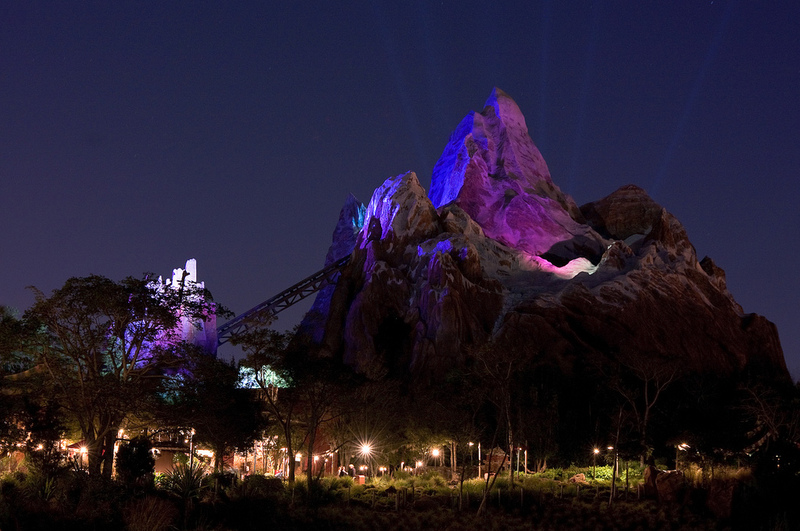 After dark, Expedition Everest becomes a different ride. Animal Kingdom has a lot of outdoor attractions, and this leads to a very different feel at night. The park, itself, transforms into a mysterious and dark place, and that’s true for those attractions, as well. Everest, Kali River Rapids, and Primeval Whirl are so different! Ladies, gentleman, children of all ages, Animal Kingdom has without a doubt the three best stage shows on property. While the shows at Hollywood Studios suffer from aging and/or general suckiness, the ones at Animal Kingdom are different in every way. What I dislike more than anything else about theme park stage shows is when they are just Cliff Notes versions of the Disney animated movie they are based on. Yeah, I’m looking at you, Beauty and the Beast. The ones at Animal Kingdom are not that. 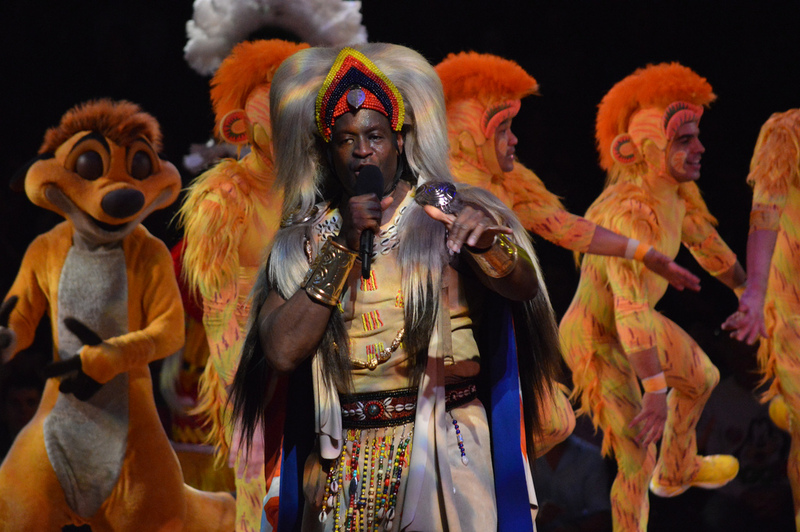 Festival of the Lion King is not just a retelling of the movie. Far from it. It’s essentially a revue themed around The Lion King. 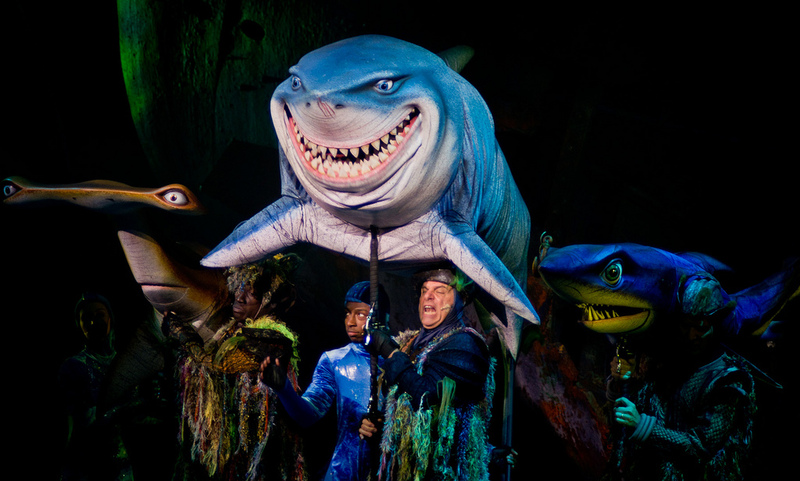 Finding Nemo – the Musical is an abbreviated retelling of the movie but with puppets. Plus, this version is a musical, and the music is great. Flights of Wonder is simply the best way for a zoo to present birds. While many zoos have a bigger collection of birds, they are often presented in cages or exhibits where you really can’t see them strut their stuff by flying. Not so at Disney: you either see them in the large aviaries where there is plenty of room to fly, or at this show, where you can see large birds like hawks and cranes pass right over your head. It’s impressive! You need to check out all three of these shows, which goes a long way to “filling out a day.” But those aren’t the only shows; Animal Kingdom has plenty of smaller acts. 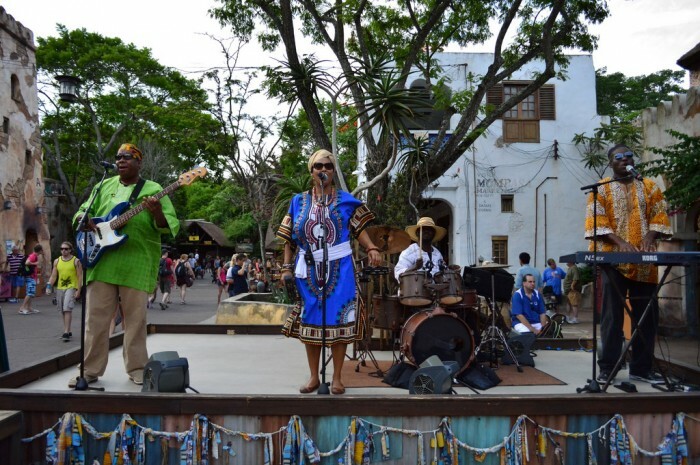 My personal favorite is the Burudika Band, which typically plays a few sets each afternoon over in Harambe. There are also other terrific musical performances like Viva Gaia and Chakrandi, both of which are worth some time. Among the most overlooked things about Animal Kingdom are the animal trails. People seem to skip them a lot. They are not attractions in the classic sense of the word, but they should be. I know the thinking: “Hey, we have a zoo at home, so what’s the point?” These trails are amazing examples of storytelling and theming. 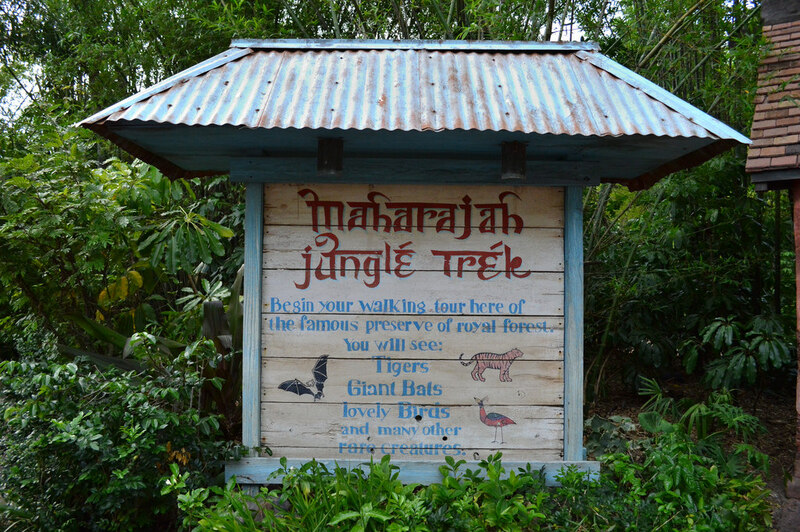 Disney fans love the back stories behind attractions, and the two main trails, Pangani Forest Exploration Trail and Maharajah Jungle Trek, are prime examples of this. The tale of the maharajahs is played out in the artwork along the Asian trail, so take the time and look at it. And it’s not just the two main trails that are worth some time, but also the smaller ones. Guests tend to skip right over The Oasis; you shouldn’t. They also don’t even know about the trails up and around the Tree of Life. Did you know there were kangaroos back there? Did you know there were porcupines behind the Tree? The places are always nice and quiet, too. Enjoy the serenity for as long as you want. Not one of the Six Reasons…. So there you have it: Six Reasons Animal Kingdom is NOT a Half Day Park. See you next weekend for the latest edition of the Saturday Six, where we grab our broomstick and take a look at Diagon Alley. If you had fun, be sure to check out The Magic, The Memories, and Merch! articles or, for your listening pleasure, check out Pardon the Pixie Dust podcast. Special thanks to Disney Blogger Extraordinaire Morgan Crutchfield, Mike Sperduto, Jeff Kyle, and crack staff photographer Brandon Glover for their assistance with this article. I’d also like to send a special shout out again to Safari Mike of JamboEveryone.com. 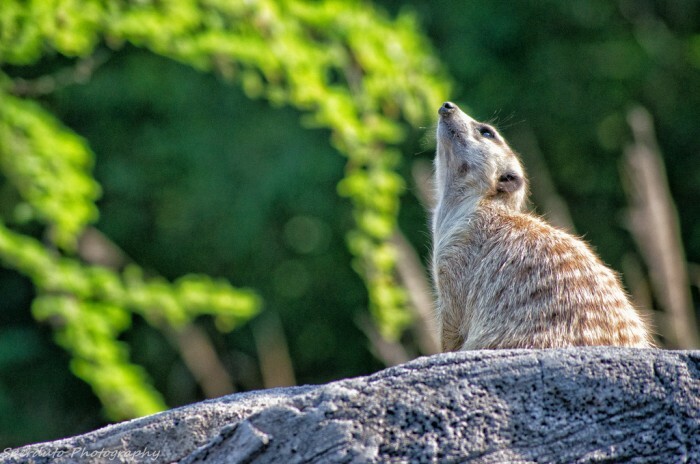 It is inspiring to see someone celebrate everything about Animal Kingdom with such love and enthusiasm and the site joins Matt Hochberg’s StudiosCentral.com as my favorite park-centric sites. Now if only we can convince someone to take an interest in Epcot or the Magic Kingdom…. Bravo! Hooray! Applause! Thank you for sharing often overlooked details of one of my favorite parks. You hit the nail on the head- especially with highlighting the food. I think DAK might be my favorite place to grab a bite. And Everest at night- a game changer! Walking the trails with a cold Safari Amber? Bliss! Excellent work here. 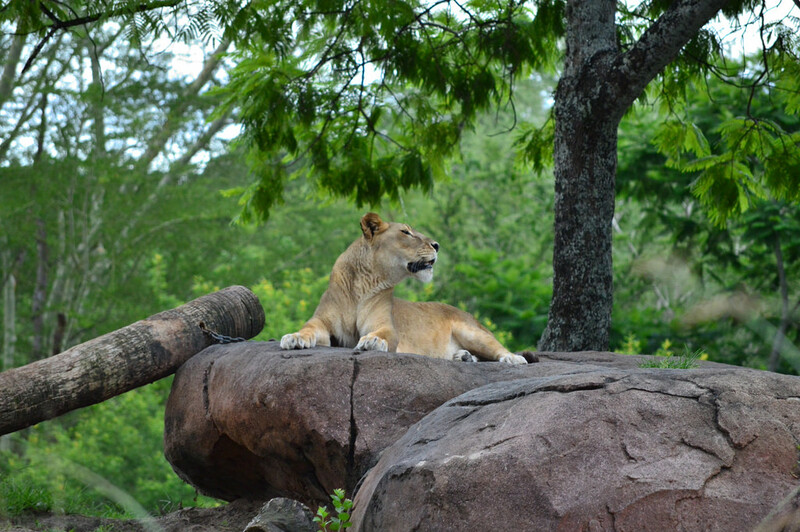 Animal Kingdom, a half day park? Yeah, right. Last trip, we spent two days at AK, and I still don’t think we got to everything. Great article! We are planning a trip for next summer, and both of my kids are most excited about AK. We’ve only done half days the two times we’ve gone to AK and have missed out on so much!! I’m dying to see Rafiki’s Planet Watch and the Pangani Exploration Trail. I think it would be great to take a day at AK with no rides to just enjoy the park. Animal Kingdom is a two day park for us! We fell in love with it on our honeymoon in 2003. Another for the list – spotting animals on the Tree of Life! From different angles, there are different animals visible. For example, anyone ever see the moose? I only know of one place it can be seen from. That is one of the things I love to do as well Nicholas. I think the Tree of Life may be my favorite “one thing” WDI has built and I’m always amazed when looking at it. We choose AK for the park for our sleep in day. We once made AK 3/4 day park when we did the “Wild Africa Trek”. It’s tradition to make AK our first park of every trip. My boys love it and it’s a good park to ease into the two week trip with! I think AK is the best park for kids. My daughter, at age 19 months, loved this park. We walked the trails for hours. She was so entertained by all the animals. The shows are some of the best at WDW!!! My boys, ages 2 and 5, loved Animal Kingdom last month. 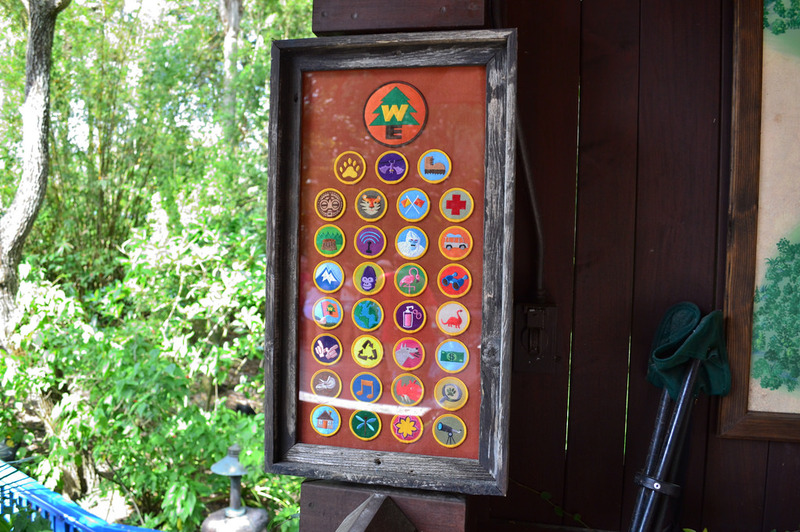 I would highly recommend the Wilderness Explorer game. We only had time for my 5 year old to get 6 or 7 badges but he STILL plays with the book he got now at home and loves to read it over and over. He will definitely try to finish it off when we go back. The best part is he learned a lot! It is a great way for kids to learn about science! And, yes, it is free to play and they give you a book and lots of stickers (badges!)! It’s my favorite park cause of the tropical landscape and great places to eat and drink. And I don’t have to spend 20 hours on a plane to get to such a exotic destination. I spend half my trip at this lush tropical oasis eating at Flame Tree BBQ and drinking at Yak & Yeti it dose not get better than that. I don’t have children but I still love coming to Disney every year!!!! It is the most beautiful at night with all the intricate lights with the arrival of Avatar we will get more hours to spend marveling over the breathtaking views and don’t forget to enjoy a refreshment on the outdoor patio at quick service Yak & Yeti with the view of Everest. It takes your breath away. Plus you get to rest your toes. Three words: Wild Africa Trek. The behind the scenes “tour” (it’s really more of an adventure) is one of my favorite things I’ve ever done at Disney and something I tell people about all the time. It’s actually where I chose to propose to my wife :). We are staying at Kodani Lodge in October and I look forward to exploring AK further!